John Griffith has spent years fighting on behalf of personal injury victims and victims of workplace accidents who need workers’ compensation in Middle Tennessee. John first began as an insurance claims adjuster and then formed the well-respected personal injury law firm GriffithLaw. 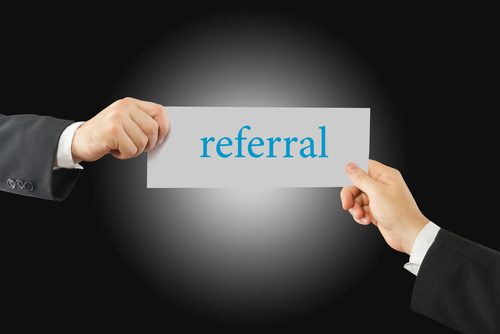 As an experienced personal injury firm, GriffithLaw is honored to receive client referrals from fellow attorneys. Even if you do not practice personal injury law, are located out of state and not admitted to the Tennessee bar, have a conflict of interest, or require assistance with a particularly complex case, GriffithLaw is eager to provide your client with the skilled and experienced representation he needs and deserves. GriffithLaw realizes that by the time you contact us with a client referral, you've likely put a great deal of thought and effort into the case in question. Our firm respects that time and contribution. Not only is GriffithLaw happy to pay the applicable attorney referral fees outlined in the Rules of Professional Conduct of the State Bar of Tennessee, we will also be mindful of any accrued case expenses and existing liens. If you are referring a case to GriffithLaw or seeking a firm to co-counsel with you, you can count on us to work diligently to secure a fair financial award for the client. If you have a client that could benefit from our experience, or you need an experienced personal injury firm to serve as co-counsel on a case, contact GriffithLaw today.